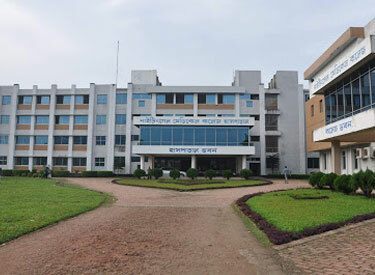 Nightingale Medical College & Hospital, a unique addition to the number of private medical colleges and hospitals engaged in teaching medical science as well as offering the highest standard of treatment facilities & nursing accross a wide range of special. Nightingale Medical College & Hospital are committed to producing first class doctors through quality teaching and learning, skills acquisition, and knowledge dissemination. As the Deputy Managing Director, I am humbled for being given the opportunity to bring good quality health, comfort and happiness to all through the production of highly qualified and competent Medical Doctors who will provide primitive, preventive and creative services to meet all health needs of the nation and the global community at large. We look forward to welcoming you as you prepare for a successful, rewarding and meaningful profession in life.